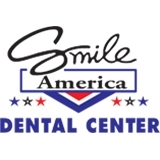 Smile America Dental Center (Farmington Hills) - Book Appointment Online! Dr.Nidaa Abdal is a respected dental provider in the Farmington Hills community since 2003. She received her bachelor’s in biology and her masters in molecular biology from Wayne State University. She later attended University of Detroit-Mercy dental school and received her doctorate of dental surgery in 1998. Dr. Abdal and her team are changing lives one smile at a time! Dr. Abdal and her staff made me feel very comfortable s much so that I wasn't nervous at all.